The first in our ‘Discussion and Debate’ series saw author Jim Swan put forward an article ‘On Stereotyping Irish Soldiers’. 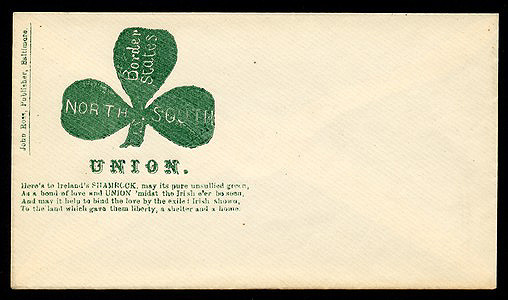 Among the works cited in the piece was The Harp and the Eagle: Irish-American Volunteers and the Union Army, 1861-1865, written by Professor Susannah Ural of the University of Southern Mississippi (for a lecture she presented on the topic of the book see here). Professor Ural is also the editor of Civil War Citizens- Race, Ethnicity and Identity in America’s Bloodiest Conflict (for a review of this book see here). She has kindly agreed to give her thoughts on the piece, and also brings news of some exciting new research in the field. 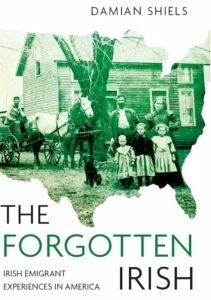 I think it’s wonderful that Jim Swan is working to expand our knowledge of the Irish-American experience during the Civil War. One of the reasons I wrote HARP was to shift our focus from unit and single community studies to broader interpretations of the subject. Every author has to set parameters- mine focused on the top three US cities with the largest Irish Catholic populations in 1860: New York, Boston, and Philadelphia. True, it was an East coast focus and many of the men (though certainly not all) I examined were in Irish-dominated units. Jim’s done great work with his focus on the men of the 90th Illinois, and I applaud his desire to expand the discussion. I also like that while Jim notes that we need to guard against over-generalizations, we also need to continue to expand our scope lest we produce interesting isolated studies that tell us nothing about the broader experience. Indeed, if history has been plagued by a problem of late, even my favorite field of military history, it’s the issue of writing “more and more about less and less.” So, yes, let’s expand our discussion, uncover new material, and then see how this all fits into the big picture. Ryan Keating (finishing his Ph.D. at Fordham University) is a great example of someone who’s doing just this. Ryan’s finishing up a fantastic dissertation on understudied Irish communities in Connecticut, Wisconsin, and Illinois during the Civil War, focusing on Irish soldiers from those regions, their motivations and their experiences. I’m very pleased to learn of Ryan Keating’s dissertation. I look forward to reading the results of his work. Thanks to Susannah Ural for bringing this to our attention. Hopefully the 150th will encourage more analysis of the under-studied role of the 80% of immigrant soldiers who did not serve in “ethnic regiments”. BTW, Civil War Civilians would be a great book for Civil War survey courses. Sorry, I meant to say that Civil War Citizens would be great for a survey course.